I'm very happy that First Generation is also on The New York Times today's news paper. 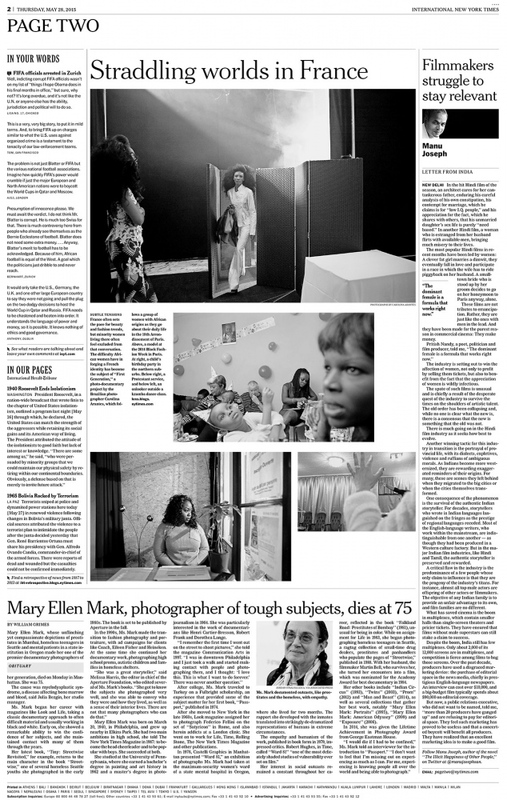 And it is a real honour for me to have the project together with the newspaper's tribute to the great photographer Mary Hellen Mark, who sadly passed away the last 25th Mai. She was an incredible force for Photography and a source of inspiration for many photographers and, I daresay, women photographers. Thank you Gaia Tripoli for the beautiful edit.